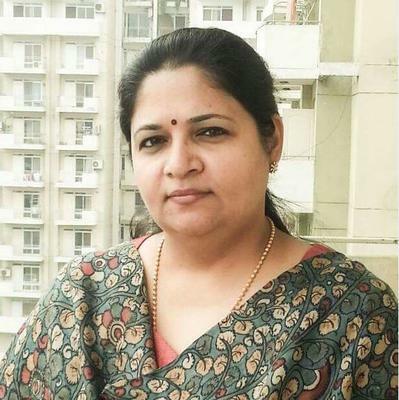 I'm the owner of La Petite Meringue a home baking business based in Hyderabad, India. Strengths - I am also a sculptor-artist working with bronze and brass. As an artist I have worked extensively using different media - from indian traditional tanjore paintings to 3D ceramic murals, from water colors to oil paints. 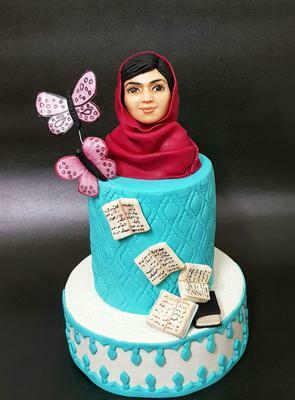 I was a hobby baker for more than 25years, before I took to commercial baking and cake decorating and I specialize in bespoke cakes and figurine sculpting. I teach both amateurs and professional bakers the art of modelling and cake decorating and give demonstrations and workshops all over the country. Achievements - I have won the 5th place in Global sugar artists competition. I have been featured in many cake decorating magazines and national newspapers and magazines. Advice - the only path to perfection in any art is practice. Practice your craft constantly and patiently and you will see the results for yourself. 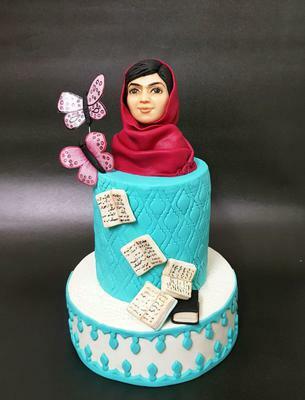 My inspiration for this collaboration is Malala Yousifzai, Pakistani activist for female education.